You can apply for a full-time course via UCAS. Visit the UCAS website to complete an application form. To apply through UCAS, you need the following codes plus the code for your chosen course. This can be found on the course information pages under Undergraduate & Postgraduate of this website. Once you have applied, you will be able to track your application using the UCAS website. When your application has been processed, you will receive a letter telling you whether you have been successful. You will also be told whether there are any conditions to the offer of a place on your chosen course. Once you have identified the course for which you are likely to be granted a place, you can apply to Student Finance for your tuition fee loan and student maintenance loans and grants. Find out more on our Fees & Funding pages. UCAS accept applications from mid-September and the first deadline is in mid-January. Any applications received in this window are considered ‘on time’. Applications received after this but before the final deadline at the end of June are ‘late applications’. These are only considered if there is still space on your chosen course. As such, we recommend you apply early to stand a better chance of getting a place on the course you really want. Please check the UCAS website for details of exact deadline dates for 2017/18. You can call UCAS on 0871 468 0468 or contact the team via Facebook www.facebook.com/ucasonline or Twitter @ucas_online. 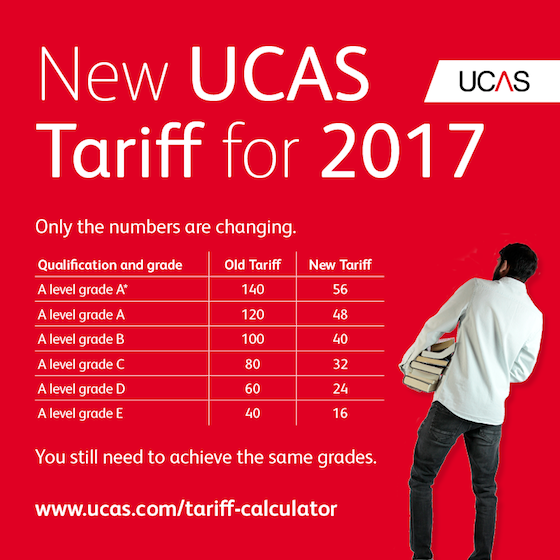 There is also an online contact form on the website www.ucas.com/corporate/about-us/contact-us. You can download an application form here or call 01935 845454 for a hard copy. The Programme Manager for your course will get in contact to arrange a short, informal interview. You will then be told if you have been successful. Some students may be eligible for part-time funding support. Please visit the Fees & Funding pages for more information. If you want to do a full-time course, please apply through UCAS and see above for details. If you are interested in a part-time course, please contact Yeovil College University Centre on 01935 845454 or email us via university.centre@yeovil.ac.uk. European Union and overseas students normally need to have an internationally-recognised entry to Higher Education qualification, such as the International or European Baccalaureate, equivalent to UK A Level study. If English is not your first language, you will need to provide evidence that you can read, write, speak and understand to a suitable level for higher level study. English language requirements are normally a minimum of IELTS Academic Version 6.0 or TOEFL Computer-based 213 or TOEFL Paper-based 550. Unfortunately we are currently unable to accept applications to our Foundation Degrees and Higher National programmes from applicants who reside permanently outside of the UK. Healthcare programmes, such as Nursing, need higher levels of English. You must have IELTS Academic Version 7.0 or TOEFL Computer-based 280 or TOEFL Paper-based 650. If your schooling has been in English you may not need to take the above tests. You can find out more about these tests on the IELTS or TOEFL websites www.ielts.org and www.ets.org/toefl. Applications to enter Higher Education programmes within Yeovil College University Centre are governed by the HE Admissions Policy in addition to the Student Terms and Condition of Entry. Applicants are advised to consult the specific entry requirements for each programme, as detailed throughout course description pages and the YCUC prospectus. For learners wishing to apply for a programme who do not hold the mandatory entry requirements it is asked that you consult directly with the University Centre prior to making an application – either through emailing university.centre@yeovil.ac.uk or calling 01935 845454 to speak with a member of the HE Admissions Team. In cases where applicants do not hold appropriate mandatory qualifications opportunities exist to apply for programmes through alternative entry methods. This includes interviews or the undertaking of admissions entry tests to ascertain the level of skill and proficiency held by the applicant – which may be equivalent to the entry requirements, or demonstrate sufficient competency to attain entry. In all circumstances, whether applying for Full or Part-Time entry, applicants are advised to refer to the YCUC Application Admissions Guidance.